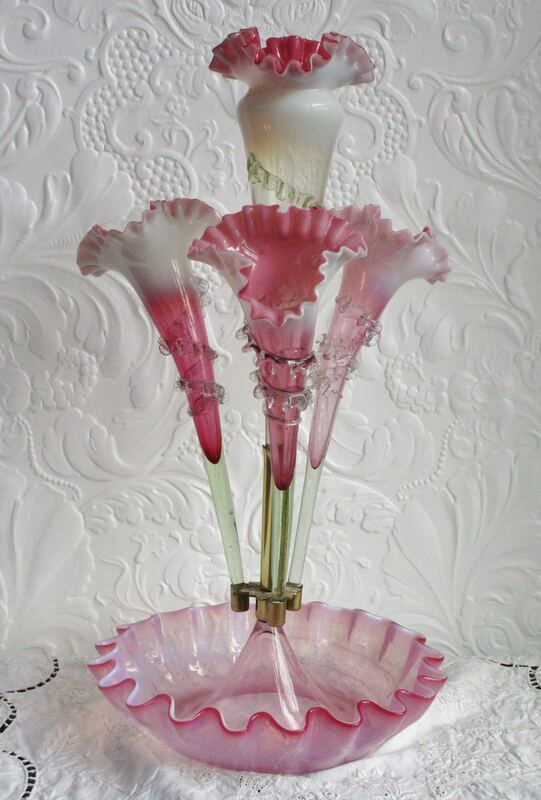 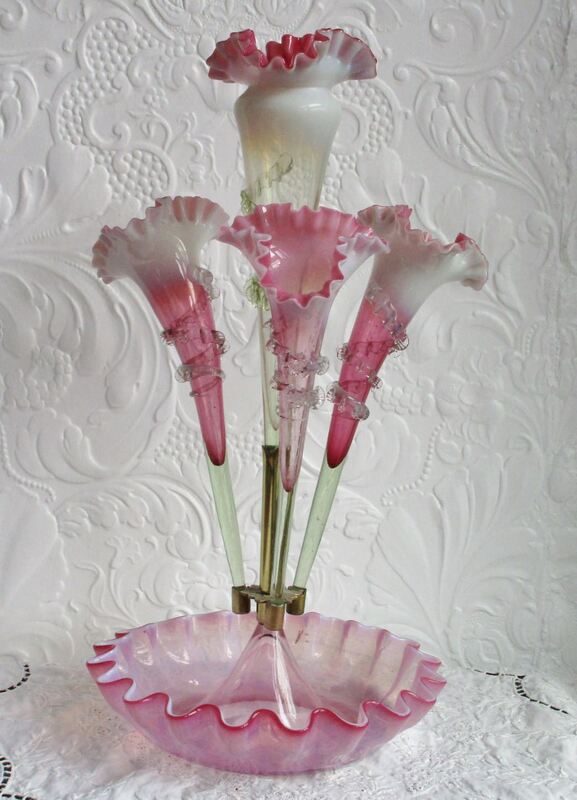 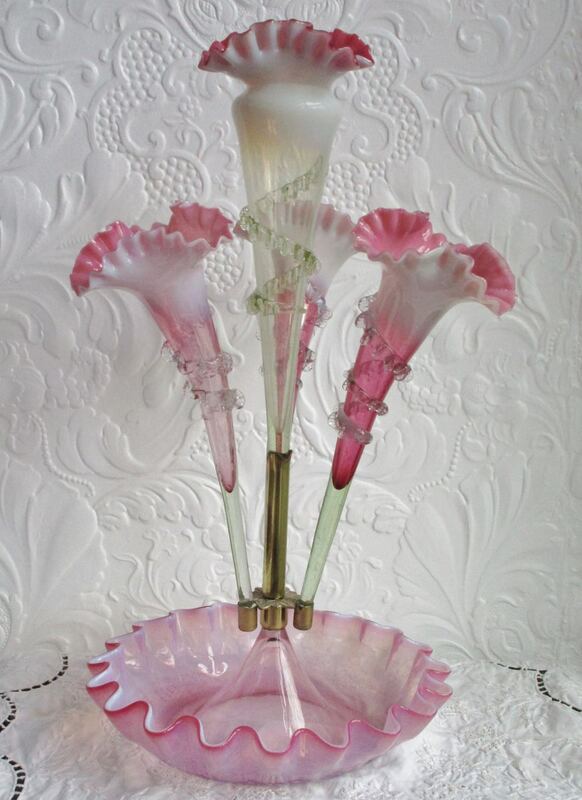 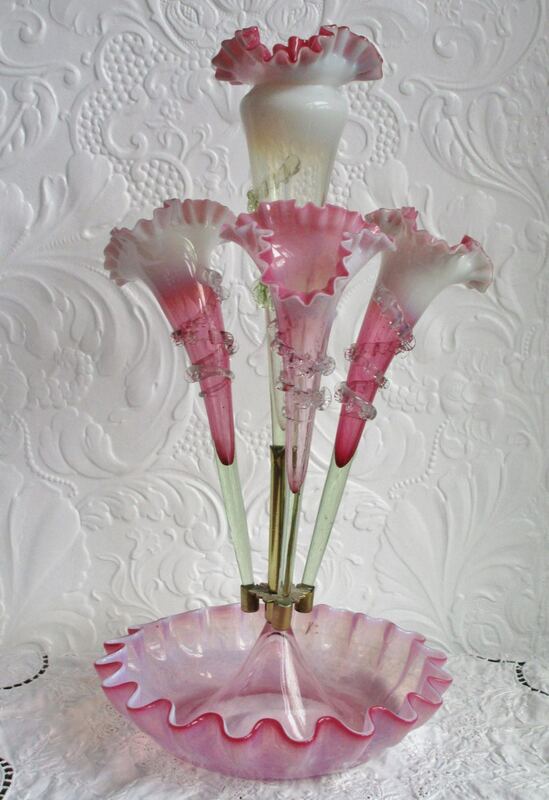 A most attractive Mid 19th Century Antique English Victorian Pink Vaseline Glass Epergne, comprising four frilled flutes, each with applied trailing decoration, rising from a scallop edged round tray. 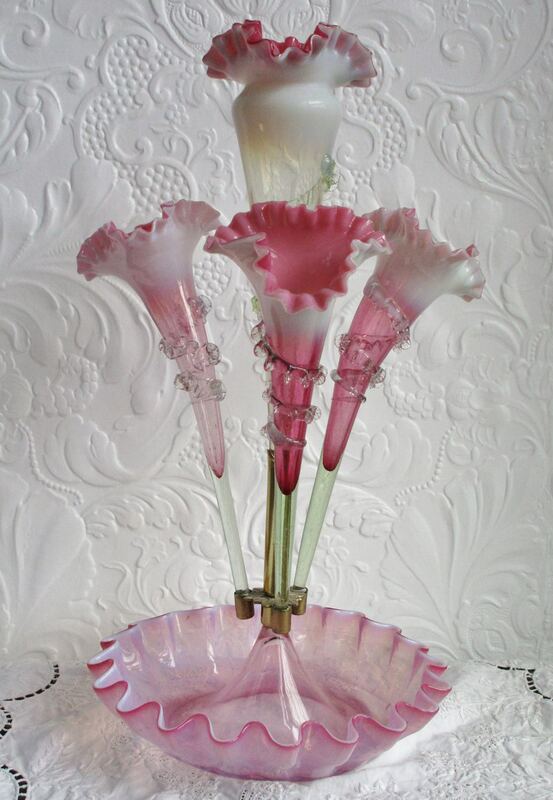 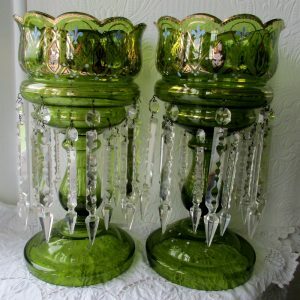 Epergnes can be used to great effect as table decorations, filled with fresh flowers in the Victorian manner, the tray laden with bon-bons or soft fruits, these lovely old pieces are certain to enhance the dining table of the most fastidious hostess. 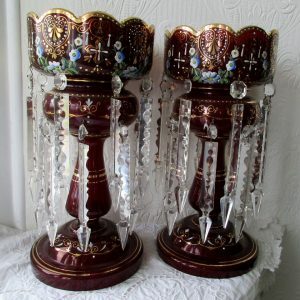 Height ~ 48.90 cm. 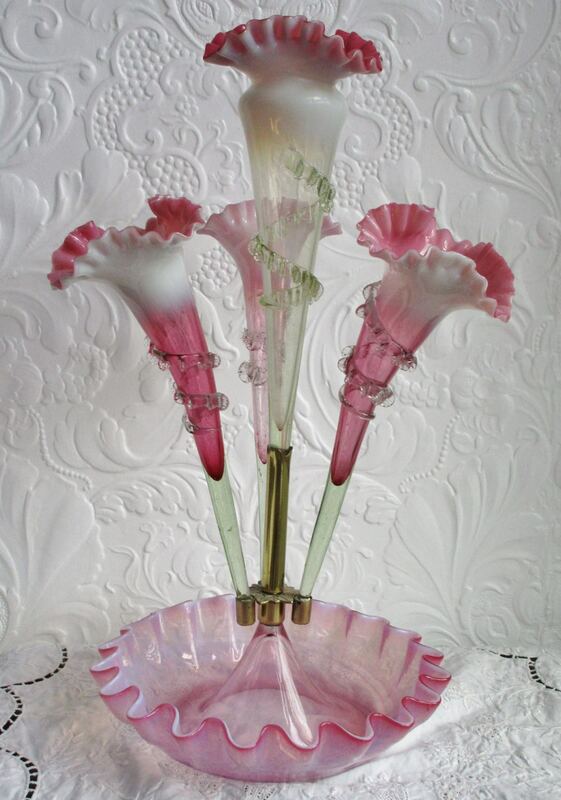 / 19.25 inches ~ Width overall ~ 25.40 cm. 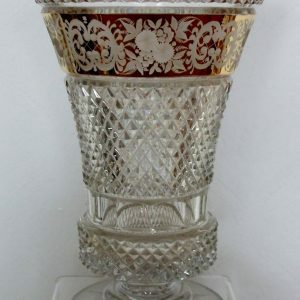 / 10.00 inches ~ Diameter of Tray ~ 25.40 cm. 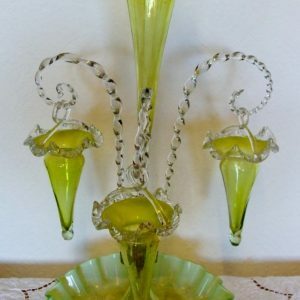 / 10.00 inches ~ Year ~ Circa 1860.